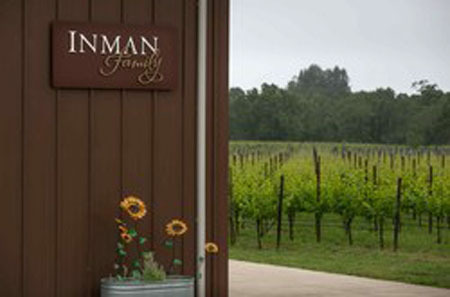 Inman Family Wines is an artisan winery located in Sonoma County's Russian River Valley. Today the options for touring and tasting Sonoma County wine country are a burgeoning lot: you can do traditional walk-in tastings, sit-down seminars at a well-staffed hospitality center, and wine parings with chef-prepared gourmet nibbles. The flip side of the popularity of wine tasting is that it’s often difficult to find the winemakers themselves, hosting an old-fashioned tasting and tour while talking about their vineyards and their craft. Even at smaller cellars, winemakers are busy these days—if not in the vineyard or juggling multiple winemaking “day jobs,” then jetting across the country to pitch their wine to restaurants from Florida to Wisconsin. 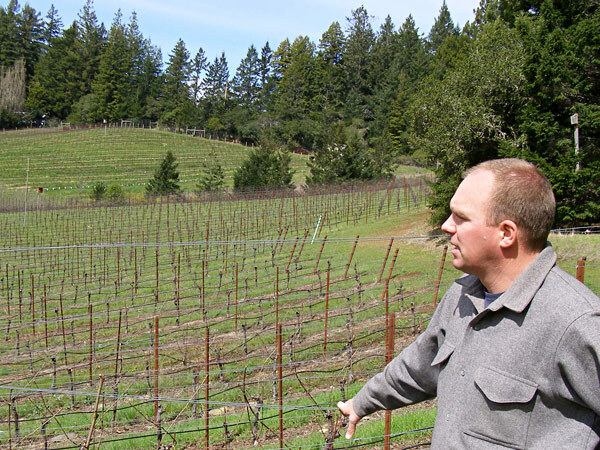 Here’s a roundup of several Russian River Valley and Sonoma Coast wineries where you might be able to catch a tour and tasting with the winemaker—usually by appointment—to get the ultimate insider’s view. Having grown up in a California walnut orchard, and learned to drive a tractor before she learned to drive a car, Katy Wilson was already aiming for a career in agriculture when she enrolled in Cal Poly. But when here ag business 101 professor mentioned that winemaking was also an option, that was that—she was in. While consulting for several small wineries, Wilson also launched her own, highly acclaimed line of Pinot Noir and Chardonnay made from small vineyards in the Sonoma Coast, named for her great-grandmother, Veona LaRue, who inspired her to do what she wanted in life. Katy Wilson hosts wine tastings by appointment at one of the small vineyards she sources grapes from, Emmaline Ann, near the hamlet of Freestone. “Often I have people say to me,” Wilson reports, “Oh, it’s so great to be able to talk with the winemaker, and to get a thorough experience.” Depending on the season, she may lead a tour of the three-acre vineyard, taste fruit as it ripens on the vine, and answer questions about how work is done in the vineyard from season to season. 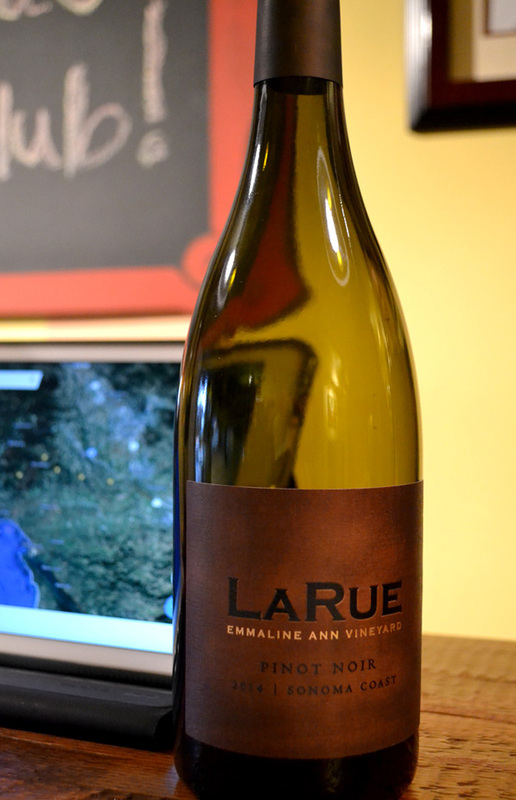 Also sourced from key Sonoma Coast vineyards like Rice-Spivak, Charles Heintz, and Coastlands, LaRue wines reflect the dark, but cool fruit tones and foresty spice of the region. $25 wine tasting, $45 with cheese pairing. Although his grandfather founded a famous Napa Valley winery in 1972, winemaker Kurt Beitler got to his calling, and to the Sonoma Coast, via a circuitous route. Initially, he helped his cousin with managing several vineyards for his Pinot Noir label—you might have heard of it—but launched his own label while sticking to his new roots in this eclectic, forested and ocean-influenced landscape in between the Russian River Valley and the Pacific Ocean. Beitler hosts vineyard tastings and tours by appointment in Occidental. Third-generation winegrower Darek Trowbridge holds an advanced degree in modern winemaking, but chooses to make wine the “Old World” way: stomped by foot and fermented on natural yeasts, resulting in one-of-a-kind wines of real terroir. If the name evokes a romantic, simpler time when grapes were trodden under bare feet while the whole village came out to celebrate—naturally, that’s exactly what harvest looks like at Old World Winery (many such feet belong to wine club members, or anyone who shows up to the tasting room and winery site during harvest). The rest of the year, the self-professed “pastoral winemaker” (Trowbridge makes wine that fits the “natural wine” category, using only minimal sulfur and no winemaking additives) makes himself available, when time allows, for tours and tastings by appointment. The humble little cellar is a highlight for some wine fans—a certain duo, Burt Williams and Ed Selyem, gained fame while making their wine here. 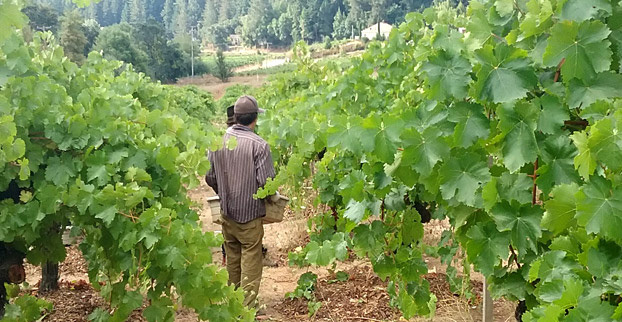 The family vineyard on Martinelli Road, several miles away near the Russian River, is also of historical interest: planted in 1890, the vines have been produced a melange of Muscadelle, Trousseau Gris, Palomino Mondeuse Noir, Abouriou, and Zinfandel for well over a century. Winegrower Paul Sloan has created a little piece of Burgundy in Sonoma County. In rolling hills of dusty, Goldridge soil northwest of the town of Sebastopol, amid Gravenstein apple orchards and Chardonnay vineyards alike, Sloan’s Small Vines vineyards are so tightly spaced it takes a specialized French tractor to navigate the four-foot rows. 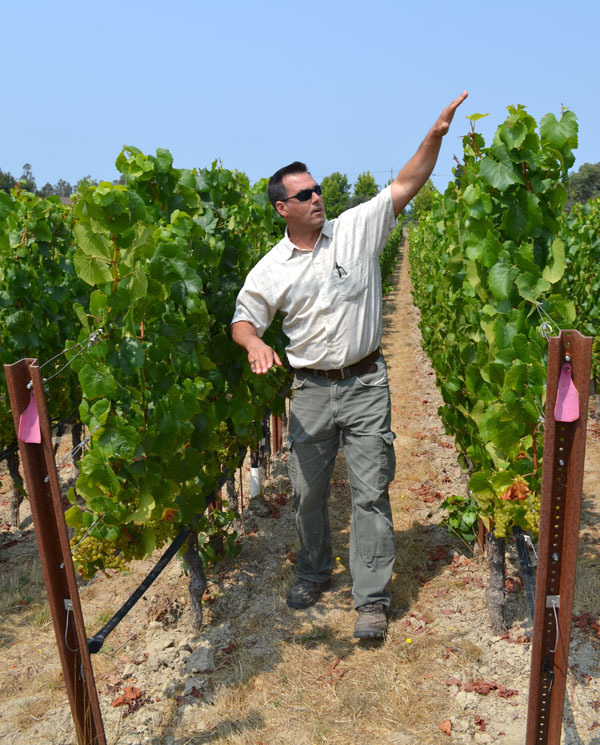 Explaining his philosophy, which includes organic farming inputs as well, takes some work, but Sloan is convinced that Pinot Noir and Chardonnay lovers will be convinced, too, after a tour and tasting at the family estate. Notable for boasting one of the few wine caves in this neck of the woods, Freeman also sources from some pretty boast-worthy vineyards on the Sonoma Coast, like Keefer and Heintz. Winemaker Akiko Freeman, who cofounded the winery with husband, Ken, got the promotion after pitching in with the crush and learning the craft with consulting winemaker Ed Kurtzman. 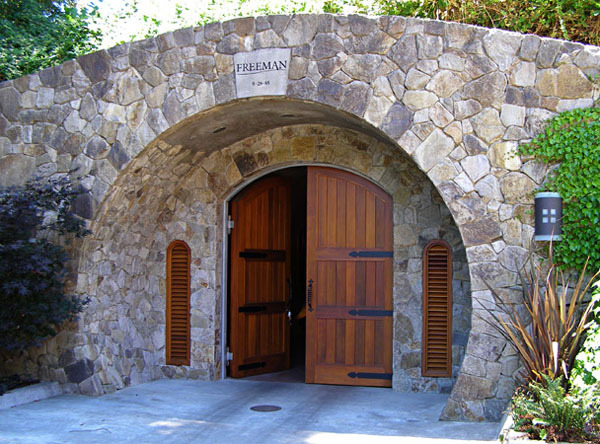 Freeman hosts special tastings, and maybe a peek at the small estate vineyard set in a redwood forest, by appointment. This little winery on Olivet Road has it all: estate vineyards, a cozy (but cool) little cellar, electric vehicle charging station, and usually a winery cat, Russian River Valley Pinot Noir and—that’s not all—bright and bubble, traditional method sparkling wine. It’s a nice stop on the wine road any day, but when when winemaker and cofounder Kathleen Inman is available, she leads a personal tasting in the cellar steps away from the estate vineyard.